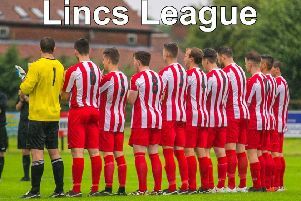 The winners of the inaugural Louth Leader Six-a-Side League were presented with their trophies last week as the second season kicked off. Trophies and medals were presented to the winners and runners-up from the league’s two divisions, while new teams were welcomed for the new campaign. #DS9 defeated newcomers BF Pitches 5-0, while Louth Legends grabbed the first week top spot after beating Exeter 6-0. In a superb final game, last seasons runners-up Bend it like Bendtner (now renamed as Manby FC) lost a thriller, 3-2, against Old Boys. The Championship also saw four wins as Tetney opened with a 5-0 victory against Louth All Stars. Job Centre XI swept aside Real SoSoBad 4-0, and Motherwell defeated Subs 2-0. A late strike from the Ambulance All Stars gave them a 2-1 victory over Dragon Men. * Spaces are available in the league with free entry and kits available. For more details, call Michael Clark on 07341 810083.